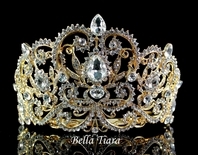 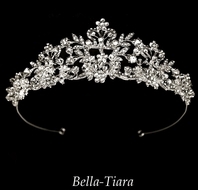 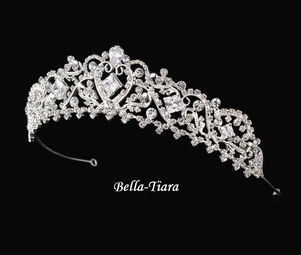 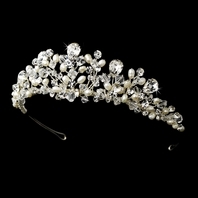 Description: Romantic and sweet, this silver plated tiara is a memory of all of your favorite fairy tales. 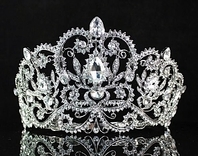 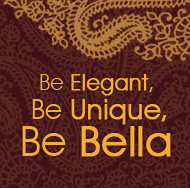 The piece features sparkling rhinestones and a silver plated curling design. 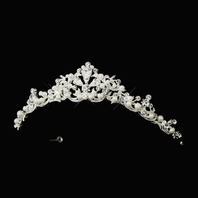 The ornamented portion of the piece measures 8" wide and 1-1/2" tall, and the piece ends with two loops that allow you to fasten it in your hair with bobby pins.